Demand for housing in the UK’s capital has never been higher, as such there are a number of development projects underway. A major development project taking place along the River Thames will see a collection of high-quality and it is PRS & affordable rent built incorporating modern mechanical, electrical and plumbing (MEP) services. Parker Bromley, the building services contractor on the site, has specified Spelsberg’s innovative IBT system of junction boxes. Parker Bromley is a well established, family owned business specialising in MEP systems. As part of the London development project it has been tasked to deliver embedded MEP solutions including heat recovery (MVHR), smoke ventilation and fire alarm systems as well as an ‘Energy Centre’ to service each apartment block. It was tasked with minimizing installation time to help keep the overall development project to deadline. 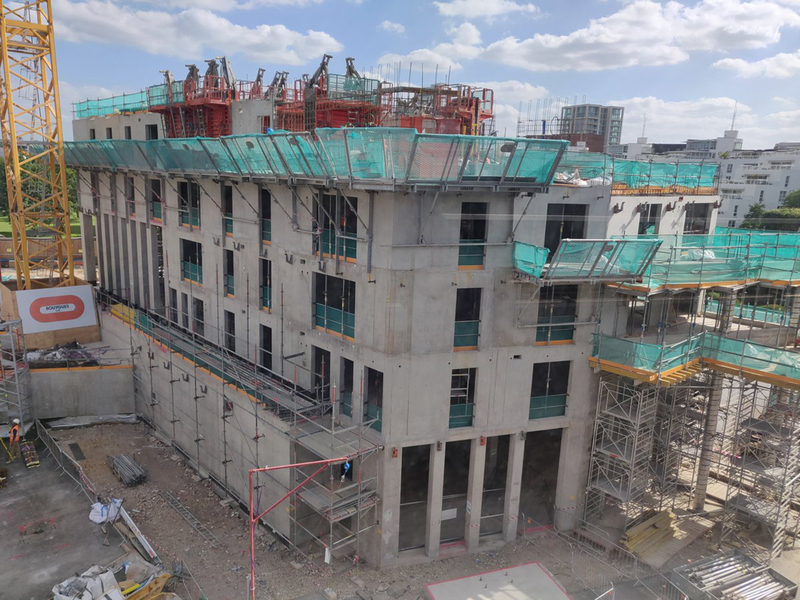 Jody Parker, Director at Parker Bromley, explains the challenges involved: “Concrete construction is a fast, effective and aesthetic method for building apartment blocks such as the ones being built here. 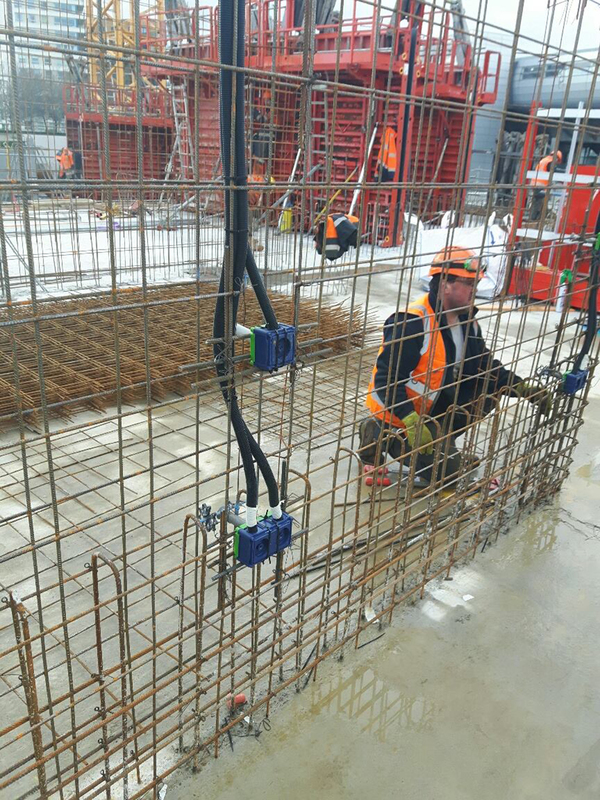 However, when casting panels onsite it is important that considerations are made for the necessary wiring and electrical connections. A key element of the IBT system is the integral sealing, which prevents concrete fines from getting inside the electrical components. This uses a patented diaphragm system which, after the conduit is inserted, returns to its original position and provides strain relief and sealing without the need for special grommets. Conventional housings do not have such a seal, a sealing arrangement would have to be fitted in-situ, a difficult and costly process. The IBT products are made from halogen-free, high-temperature resistant material which is designed for a long, trouble-free life. The range is available in a wide range of sizes. With more and more projects now requiring extra low voltage (ELV) transformers for LED lighting, loudspeakers and network communications cables, Spelsberg has also developed the complementary IBTronic range. Photograph 1: Spelsberg’s IBT system of junction boxes, fit to the metal formwork before the concrete is poured. When the concrete is set and the formwork removed, the face of the IBT housing is visible. Photograph 2: Demand for housing in the UK’s capital has never been higher, as such there are a number of development projects underway. Concrete construction is a fast, effective and aesthetic method for building apartment blocks.